Like a warm hug or bottle of love, nothing takes you home like a jar of homemade jam. This simple blueberry jam is made with brown sugar. I love jam. Actually, I ADORE jam. I grew up with homemade jam. Every morning, as a kid in Iran, I would make little lavash bites with feta and jam. I continued this morning ritual when we moved to the U.S. using toast, as we could not find lavash, and cream cheese instead of feta. Today, I use jam sparingly, trying to cut the calories, but I still have a soft spot for a jar of homemade jam. On a recent trip to Costco, I got a little excited with the fresh fruit and bought more than the five of us could eat. My massive clamshell of blueberries were starting to suffer, so I knew what I had to do. 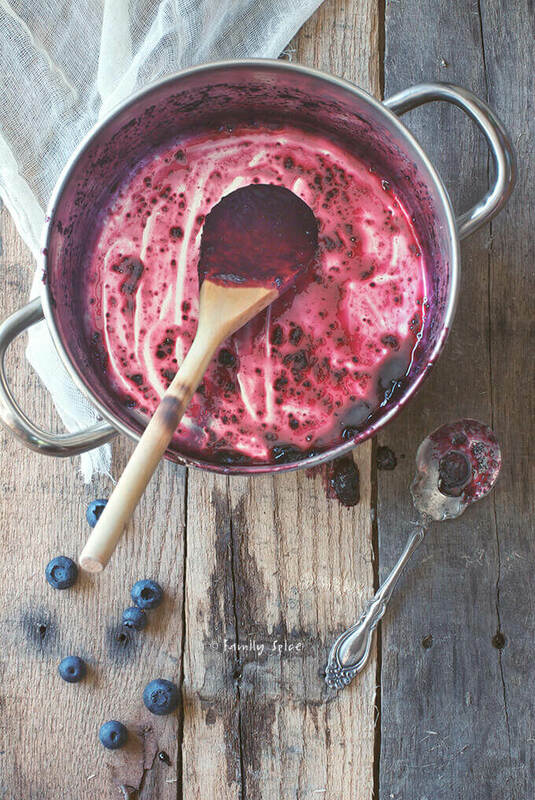 Make blueberry jam! I kept it simple. Three ingredients. Blueberries, brown sugar and lemon juice. Why is it that the simple things in life are so precious? Store-bought jam doesn’t bring the memories or nostalgia as homemade jam. Whenever my aunt visits, she has a jar of jam for me. It could be strawberry-rhubarb, peach or quince. I happily take it and savor each morsel. It doesn’t last long in my possession. And, I don’t have share it with the kids! I amm the only jam eater in our house, and I happily consume it, all by myself. 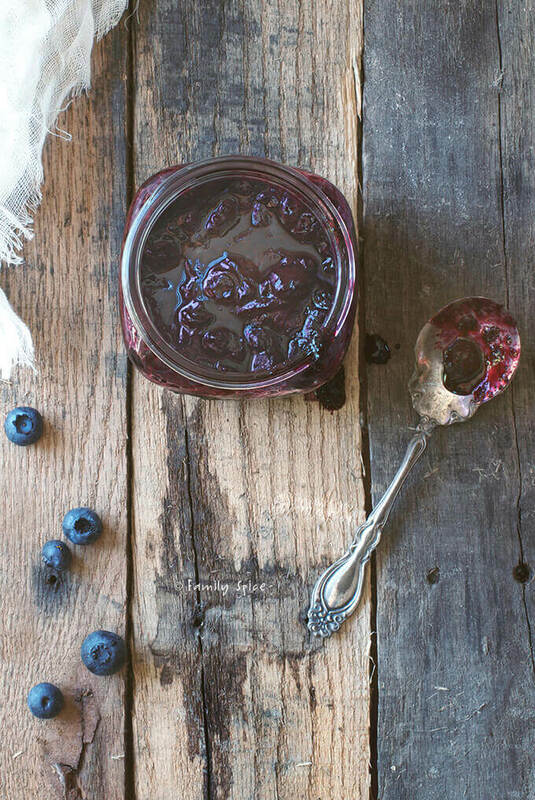 Eat this blueberry jam straight out of the jar, mop it on a bit of bread, sandwich a dollop in a scone, or mix a lump into your yogurt. What food takes you down memory lane? Bring mixture to a boil, then reduce to low heat, crushing the blueberries to release the juices. Cook until jam thickens, about 20 minutes. I love the combo of blueberries and brown sugar. I never thought about it in jam. I’ll have to give this one a try. Love this jam, Laura!! I need a jar (or 2) in my life :). My mom used to make jams all summer long when I was a kid. Sure, it seems strange –why spend your time slaving over a hot stove on some of the steamiest days of the year? But once you tasted her jam you knew why it was worth it. It’s hard to pick a favorite but I have a special place in my heart for the grape jam she made from the grapes in our backyard…and also her famous triple-berry jam (blueberry/raspberry/blackberry). 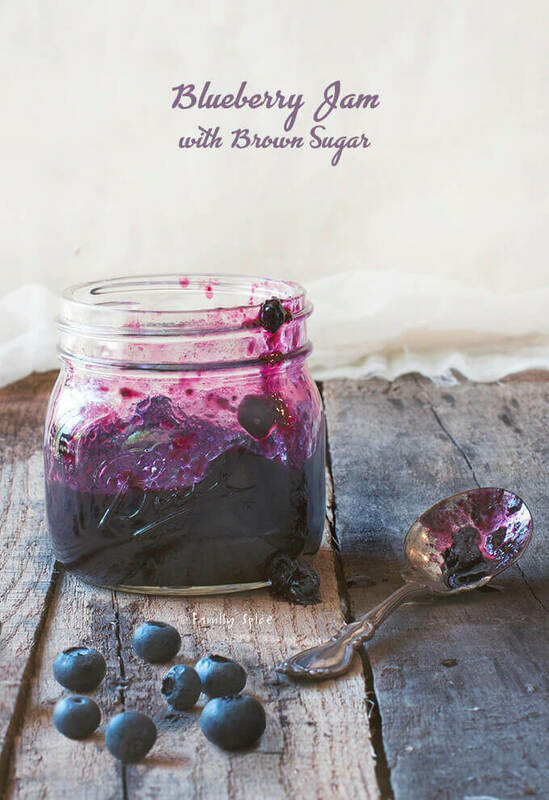 I haven’t made blueberry in a while but I will have to try this version with brown sugar – it looks amazing! I am nostalgic about chutney-making but enjoy homemade jams even more. I forgot to make any blueberry jam this summer. I love those “clams” of Costco berries! I agree with Renee, blueberries and brown sugar are meant to be together. I bet it tastes wonderful as jam! Question! Did you scoop up all the jam until the last scoop in the pot? If not I’d go over and finish it all… Looks so good. Among all jams, I like blueberries most. And I didn’t even grow up eating good blueberry jam (blueberries is not very common berries unfortunately in Japan). I love the simplicity of this recipe and use of brown sugar. My mom always said brown sugar is better for you, but forgot why (lol). I should make it next year for sure! Oops hit enter by mistake. I was going to continue saying blueberries are getting more expensive – so sad! Nami, you know I so did not waste a drop! I grabbed a rubber spatula and scraped that pot clean!!! Now is actually a great time to buy blueberries – super cheap at Costco, hence the extra fruit waiting to be eaten! Homemade jam is such nice stuff – it been ages since I’ve made any. I need to change that. And blueberry is one of my favs (the other is strawberry). Costco is dangerous! It’s so easy to buy way, way too much stuff – we’ve stopped going. But isn’t it wonderful when you get such a deal? And make lemonade out of lemons (or in this case, jam out of too many blueberries)? I can’t stop thinking about blueberry jam and how I have not made any yet this summer. I’m dragging my husband to Costco tomorrow – Saturday, crowds and all – to buy blueberries so I can make mine Sunday! I add lemon juice and a little Grand Marnier at the end – off the heat. Thanks for the inspiration! Lovely! This is my second of heavy-duty jam-making over the summer. I make a version with maple syrup, but I bet this brown sugar version would be fantastic too! I will have to keep it in mind until the next time blueberries are in season here. 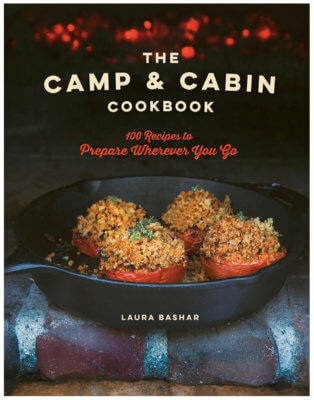 Thanks, Laura, for sharing a simple, but delicious sounding recipe for me to try for my first canning experience! Tora, I am interested in trying your version as well. Would you mind sharing your recipe and method? Nevermind, I found it on your blog. Thanks. This jam doesn’t only sound delicious (brown sugar! ), but that picture is just gorgeous too! Jam with feta has this wonderful sweet and salty combination. My husband, who is also Persian, thinks I’m crazy. He prefers his breakfast the traditional way with lavash, feta and fresh herbs. I’ve been a jam making machine the past few weeks- it’s what everyone is getting for Christmas this year. I was wondering last night what brown sugar would be like with berries actually. I may have to try it. Love jam. Love blueberries. Love your photos. How wonderful! It get me back to my childhood days when my mother used to make homemade jam! Now I often use it as a cupcakes filling! It give wonderful taste to my cupcakes! Hello! I adore jam too,so I want to ask you with what kind of brown sugar you made the jam? Hi Maria! I used light brown sugar for this recipe. Wow this recipe sounds so delicious! Thank you for sharing 🙂 I was wondering though if it is neccessery to use lemon juice since I’m quite allergic to citruses. Is it possible to make good brown-sugar-blueberry-jam without the lemon? Sorry to hear that you are allergic to citrus. Lemon juice in jam making is important not only for pectin, but especially important for the acid. It prevents bacteria growth when canning. If you’re making a bottle to refrigerate and eat within a week, then you can omit it. But for canning, use malic and tarteric acid, which are substitutes for citric acid. Wonderful! I hope you like it. And if you prefer making jam with honey, I have that recipe here: http://familyspice.com/paleo-blueberry-jam-made-honey/ Funny that it’s also with blueberries. I definitely have a weakness for them!